Devdas, Jodhaa Akbar, Bajirao Mastani; directors can’t make period dramas that set wed-worthy trends fast enough. Now there’s a new movie coming out that will take the bar for groom style, and set it at an all-time high. 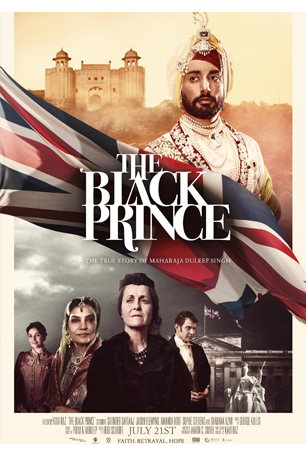 The Black Prince, starring Satinder Sartaaj, tells the incredible true story of the last King of Punjab, Maharajah Duleep Singh, and his relationship with Queen Victoria. Owning the head-to-toe jewelled look. Turns out diamonds aren't just a girl's best friend. 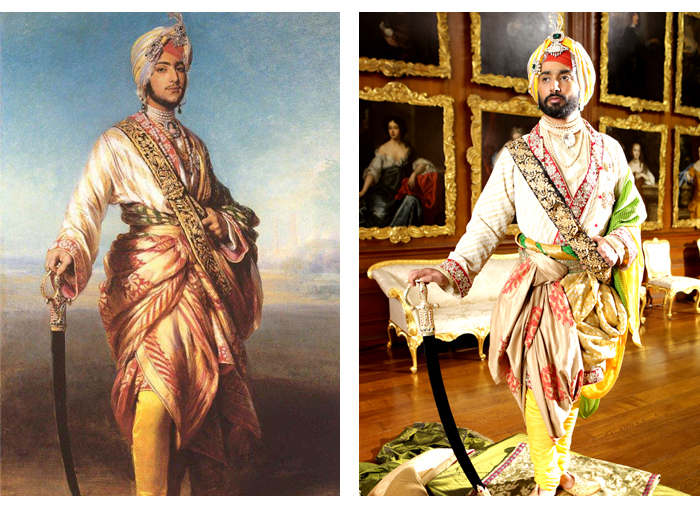 An original painting of the King alongside a still of Satinder, resplendent in a Royal Achkan Kurta. Rocking vintage Victorian threads at afternoon tea with the Queen, no biggie. In his first feature film role, Satinder shares the screen with a stellar British cast including Jason Flemyng, Amanda Root as well as Indian veteran actress Shabana Azmi. The Black Prince screens at the 70th Cannes Film Festival, and is out internationally on 21st July this year. Grab your groom and head to the big screen for your dose of regal style inspiration.